What are "Bioregions"? Bioregions are an area bounded by natural rather than artificial borders that has characteristic flora and fauna and includes one or more ecosystems. IGIS worked with the the California Naturalist Program to create a simple maps of the bioregion in California. These maps contain the bioregion boundaries with some natural features such as major rivers and a small inset of all bioregions in California. These maps will be used as the first figure in a publication series that describes each bioregion. These maps will be used in California Naturalist courses and for general natural resource science education. The sample map below is one of 11 maps created for this project. 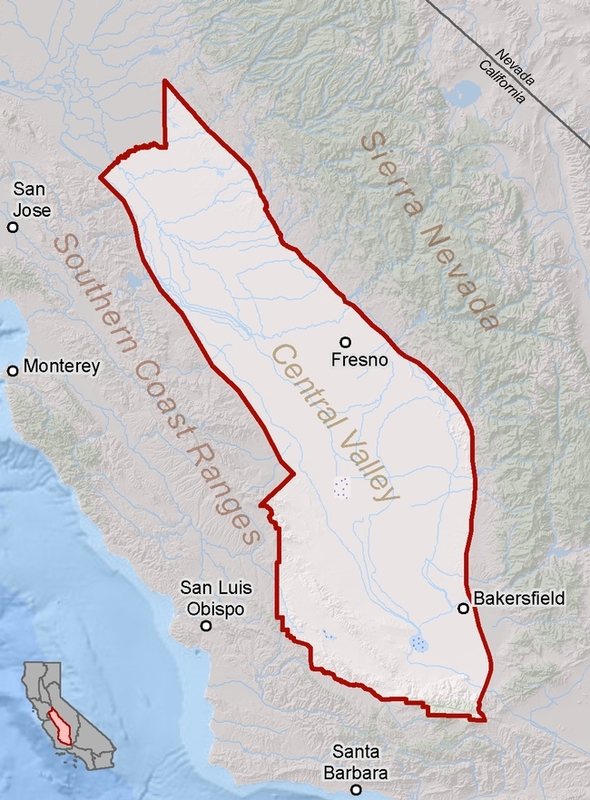 It shows the Central Valley Bioregion and its surrounding area.